Please join us for this fun family event taking place on Saturday, November 10th, 2018. 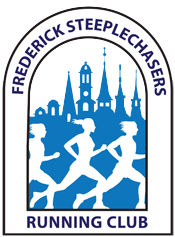 Our run starts and ends at Ballenger Creek Elementary School located at 5250 Kingsbrook Drive in Frederick, MD. The event will kick off with a flag raising ceremony by our local Cub Scout Troop, followed by the Star Spangled Banner performed by the BCES Chorus and a warm up routine led by Kicks Karate. Being that Veteran’s Day is the next day, we will also be having a special presentation to give thanks to our brave men and women who have served and continue to serve our country. This all starts at 8:30 a.m. just before our kids fun run begins, followed by our 5K starting at 9:00 a.m. Please note that these are new starting times this year. Our BCES Bobcat 5K/1K Run/Walk continues to be a fun tradition for our school community. Our theme this fall is “Take the Lead; Taking Steps to Build Our Leaders of Tomorrow.” Our goal is to encourage our students, families, staff, and community members to come out and move together as we take steps towards building our leadership program in our school. Benefits that participants can enjoy are improved self-esteem, self accomplishment, and pride in their school and community. The event allows each participant to exercise one of our 7 leadership habits which is being “proactive” by way of building community. They also “contribute their part” by helping to raise money for activities and programs at BCES sponsored by the PTA and helping to build our leadership program. In connecting to our citizenship pillar, we are asking all participants to bring a non perishable food item to be donated to our food bank OR a bag of clothes to be donated to a local shelter. A drop off location will be near the starting line. For every bag of clothes dropped off or non perishable food item the participant will receive a raffle ticket. Tickets will be pulled at the end of the race for prizes. Donated food items will be used to fill our shelves in our school food bank as well as the local community food bank and the clothes will be donated as well. The overall goal is for all participants to have a sense of being “connected” to our community. The 5K route takes place along Kingsbrook Drive, Corporate Drive and back around Kingsbrook. Our course then enters the Ballenger Creek Trail for a quiet and serene 2 mile out and back route. The course turnaround is at the trailhead off of Corporate Drive and New Design. As you make your way back to Kingsbrook Drive, the DJ and supportive crowd at the school will be there motivating you to cross the finish line in the front driveway of BCES. This is a flat course with a slight hill near mile two before you get to the turnaround at the trailhead. The event also includes a 1K kids’ fun run, a variety of vendors, and post-race treats and festivities complete with a DJ.